Apache Logging Services welcomes Raman Gupta as a new committer. Welcome aboard, Raman! Volkan Yazıcı released log4j2-logstash-layout v0.15. In addition to the default JSONLayout shipped in Log4j 2, there is also another layout plugin that you can use to render customized JSONs: log4j2-logstash-layout (https://github.com/vy/log4j2-logstash-layout). A couple of hours ago I released v0.15 of the plugin to Maven Central. This release ships a garbage-free implementation that makes log4j2-logstash-layout the fastest and only garbage-free JSON layout plugin out there in the wild. If you have a use case for JSON layout, you should definitely give log4j2-logstash-layout a try. The Apache Log4j 2 team is pleased to announce the Log4j 2.11.1 release! This release contains new features, bugfixes and minor enhancements. Due to a break in compatibility in the SLF4J binding, Log4j now ships with two versions of the SLF4J to Log4j adapters. log4j-slf4j-impl should be used with SLF4J 1.7.x and earlier and log4j-slf4j18-impl should be used with SLF4J 1.8.x and later. Note that subsequent to the 2.9 release, for security reasons, Log4j does not process DTD in XML files. If you used DTD for including snippets, you have to use XInclude or Composite Configuration instead. The Log4j 2.11.1 API, as well as many core components, maintains binary compatibility with previous releases. LOG4J2-2389: ThrowableProxy was saving and retrieving cache entries using different keys. Thanks to Liu Wen. LOG4J2-2316: If root LoggerConfig does not have a Level return ERROR. LOG4J2-2390: Fix broken links in log4j web documentation. Thanks to anton-balaniuc. LOG4J2-2343: The OSGi Activator specified an incorrect version. Thanks to Raymond Augé. LOG4J2-2305: Make java.util.ServiceLoader properly work in OSGi by using the Service Loader Mediator Specification. Thanks to Björn Kautler. LOG4J2-2305: Split the SLF4J binding into 2 implementations - one for SLF4J 1.7.x and one for SLF4J 1.8+. LOG4J2-2268: Improve plugin error message when elements are missing. Thanks to Tilman Hausherr. LOG4J2-2283: ParserConfigurationException when using Log4j with oracle.xml.jaxp.JXDocumentBuilderFactory. Thanks to Vishnu Priya Matha. LOG4J2-2300: PoolingDriverConnectionSource does not take into account properties, user name, and password. LOG4J2-2307: MutableLogEvent and RingBufferLogEvent message mementos retain the original format string. LOG4J2-2032: Curly braces in parameters are not treated as placeholders. Thanks to Kostiantyn Shchepanovskyi. LOG4J2-2317: MutableLogEvent.getNonNullImmutableMessage and Log4jLogEvent.makeMessageImmutable retain format and parameters. LOG4J2-2318: Messages are no longer mutated when the asynchronous queue is full. A warning is logged to the status logger instead. LOG4J2-2320: Fix NPE in AbstractLogger when another exception is thrown, masking the root cause. LOG4J2-2321: AsyncLogger uses the correct level when unspecified. This provides parity between AsyncLogger and Logger. LOG4J2-2322: Custom ContextSelector implementations which select an AsyncLoggerContext disable LoggerConfig.includeLocation by default for parity with AsyncLoggerContextSelector. LOG4J2-2269: MutableLogEvent references to other objects are cleared after each use. Fix a memory leak causing references to parameters to be held after synchronous logging with thread locals enabled. LOG4J2-2301: Mixed async loggers no longer forget parameter values, providing some appenders with an array of nulls. LOG4J2-2331: RollingFileManager debug logging avoids string concatenation and errant braces in favor of parameterized logging. Thanks to Mike Baranski. LOG4J2-2333: Handle errors thrown in default disruptor ExceptionHandler implementations to avoid killing background threads. LOG4J2-2336: Remove duplicate hyphen from the AsyncLoggerConfig background thread name. LOG4J2-2347: Update Apache Commons Compress from 1.16.1 to 1.17. LOG4J2-2352: RingBufferLogEvent memento messages provide the expected format string, and no longer attempt to substitute parameters into curly braces in parameter toString values. Both RingBufferLogEvent and MutableLogEvent memento implementations memoize results to avoid rebuilding formatted string values. LOG4J2-2355: PropertiesUtil ignores non-string system properties. Fixes a NoClassDefFoundError initializing StatusLogger caused by an NPE while initializing the static PropertiesUtil field. Thanks to Henrik Brautaset Aronsen. LOG4J2-2362: Fixed a memory leak in which ReusableObjectMessage would hold a reference to the most recently logged object. LOG4J2-2312: Jackson layouts used with AsyncLoggerContextSelector output the expected format rather than only a JSON string of the message text. LOG4J2-2364: Fixed a memory leak in which ReusableParameterizedMessage would hold a reference to the most recently logged throwable and provided varargs array. LOG4J2-2373: StringBuilders.escapeJson implementation runs in linear time. Escaping large JSON strings in EncodingPatternConverter and MapMessage will perform significantly better. Thanks to Kevin Meurer. LOG4J2-2376: StringBuilders.escapeXml implementation runs in linear time. Escaping large XML strings in EncodingPatternConverter and MapMessage will perform significantly better. Thanks to Kevin Meurer. LOG4J2-2377: NullPointerException in org.apache.logging.log4j.util.LoaderUtil.getClassLoaders() when using Bootstrap class loader. Thanks to Mirko Rzehak, Gary Gregory. LOG4J2-2382: Update Mongodb 3 driver from 3.6.3 to 3.8.0. LOG4J2-2388: Thread indefinitely blocked when logging a message in an interrupted thread. Thanks to Failled. LOG4J2-1721: Allow composite configuration for context parameter. Thanks to Phokham Nonava. LOG4J2-2302: Status logger should show the Log4j name and version when initializing itself. LOG4J2-2304: Log4j2 2.8.2 JMX unregister NullPointerException. Thanks to wumengsheng. LOG4J2-2311: Update Jackson from 2.9.4 to 2.9.5. LOG4J2-2313: Update LMAX Disruptor from 3.3.7 to 3.4.2. LOG4J2-548: Log4j 2.0 ERROR "Could not search jar" with JBoss EAP 6.2. Thanks to Shehata, Paresh Varke, Eric Victorson, Martin Laforet. LOG4J2-2328: Update JAnsi from 1.17 to 1.17.1. LOG4J2-2351: Added AbstractLogEvent.getMutableInstant to allow the MutableInstant instance to be modified by classes extending AbstractLogEvent. LOG4J2-2357: Update Jackson from 2.9.5 to 2.9.6. LOG4J2-2358: Update Kafka client from 1.0.0 to 1.1.0. LOG4J2-2384: Update Kafka client from 1.1.0 to 1.1.1. LOG4J2-2385: Update Groovy from 2.4.13 to 2.5.1. LOG4J2-2386: Update optional Apache Commons DBCP from 2.2.0 to 2.4.0. Apache Log4j 2.11.1 requires a minimum of Java 7 to build and run. Log4j 2.3 was the last release that supported Java 6. The Apache Log4j team is pleased to announce the Apache Log4j Audit 1.0.0 release! Apache Log4j Audit provides a framework for defining audit events and then logging them using Log4j. The framework focuses on defining the events and providing an easy mechanism for applications to log them, allowing products to provide consistency and validity to the events that are logged. It does not focus on how the log events are written to a data store. Log4j itself provides many options for that. Log4j Audit builds upon Log4j by defining its own AuditMessage. An AuditMessage is a container for structured data messages which allows a log message to be generated that contains a set of keys and values. The AuditMessage passes through Log4j as any other log event would. 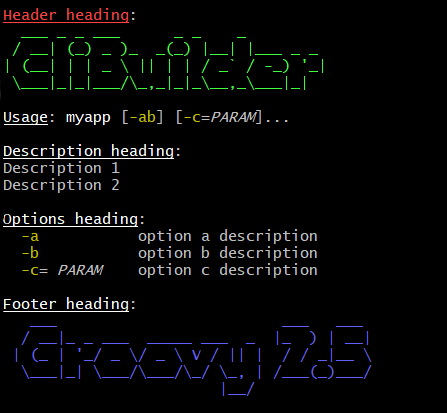 The CliBuilder class for quickly and concisely building command line applications has been renewed in Apache Groovy 2.5. This article highlights what is new.